With Nintendo placing emphasis on delivering strong gaming experiences to their latest handheld. just how important is the 3D in the 3DS? 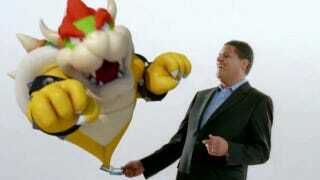 According to a recent survey, more than 28 percent of 3DS owners feel the special effect takes away from gameplay. The large percentage of users dissatisfied with the portable's 3D effect was revealed yesterday, as research firm Interpret LLC delivered the results of its annual 3D survey at the 3D Gaming Summit in Hollywood, California. In comparison, only 22 percent of 3DS owners indicated the 3D improved gameplay, while 13 percent indicated they preferred playing with the effect switched off. I'm in that 13 percent myself. Each new game I play on the handheld gets a quick glimpse in 3D before the slider gets turned off completely. The good news is that awareness of the 3DS was up over last year, with 60 percent of respondents indicating knowledge of the handheld. Of that 60 percent, however, only 28 percent were aware of the glasses-free 3D feature, perhaps a result of Nintendo's shifting focus from hardware to software. It's a shift that makes sense. With only 7 percent of respondents indicating a portable device as their ideal 3D solution (56 percent preferred a 3D TV connected console), the 3D in 3DS isn't proving to be the selling point it first seemed to be.